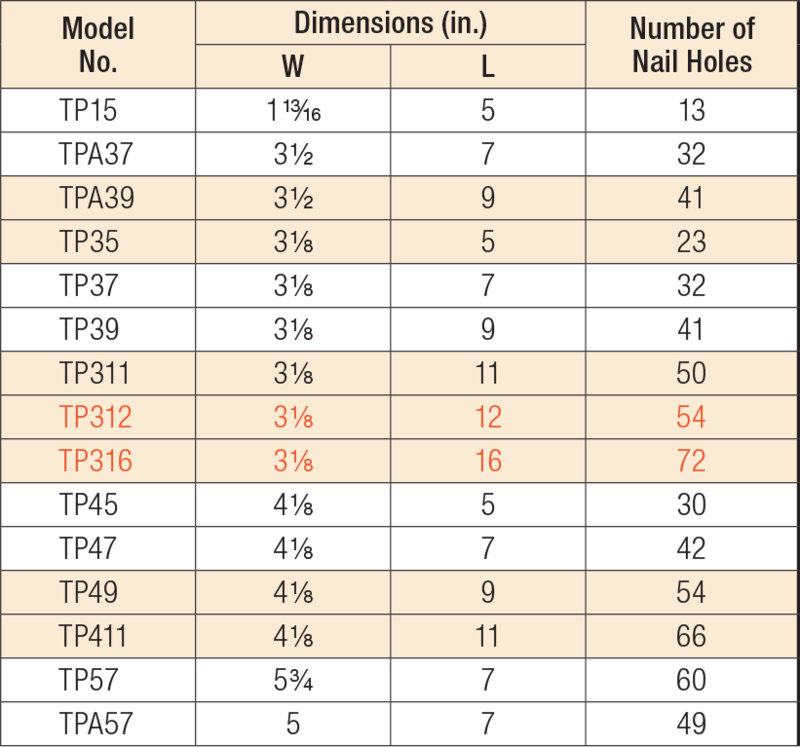 TPs are nail-on tie plates. TPAs are flanged for added support. Connectors are not load rated. TP See specific model numbers for code listings. TP15 No evaluation report listing. TP311 No evaluation report listing. TP35 No evaluation report listing. TP37 No evaluation report listing. TP39 No evaluation report listing. TP411 No evaluation report listing. TP45 No evaluation report listing. TP47 No evaluation report listing. TP49 No evaluation report listing. TP57 No evaluation report listing. TPA See specific model numbers for code listings. TPA37 No evaluation report listing. TPA39 No evaluation report listing. TPA57 No evaluation report listing.